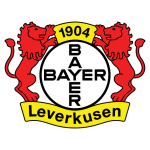 Leverkusen vs Dusseldorf predictions for Sunday’s Bundesliga fixture at BayArena. The hosts will be looking to pick up where they left off last time out in the league, while much of the same can be said for the visitors. Continue reading below for all our free tips and predictions. After they crashed out of the DFB Pokal at the hands of 2. Bundesliga opposition, Leverkusen reacted well last Friday, as they battered Mainz by five goals to one away from home. Such a performance would’ve allowed Peter Bosz’s men to go into Thursday’s Europa League game away against Krasnodar feeling confident, though they were unable to gain an advantage ahead of the return leg. Since they played a strong side on Thursday evening, it will be interesting to see if Bosz opts to rest key players ahead of the second leg, which takes place just four days after this match. If the Europa League is the priority, then Dusseldorf will surely see this as a big opportunity to collect points on the road, though to do that, they’ll have to sharpen up considerably at the back, which seems unlikely. From an attacking point of view, Leverkusen have looked like a very strong side of late, so much so that it really is tough to criticise them. Ever since returning from the winter break, Sunday’s hosts have looked to get on the front foot and such an approach has worked, as they’ve been both creating lots of chances and scoring lots of goals. They scored no less than five last time out, while they notched three against Bayern prior to that. What’s more, the hosts have recorded very pleasing expected-goals for figures of 3.55, 1.64, 3.53 and 2.19 in recent weeks. Such numbers tell us that Leverkusen have been creating an awful lot going forward, which bodes well ahead of a visiting side that offers little defensive resistance on the road. However, while Leverkusen have impressed massively going forward of late, they’ve continued to look shaky at the back. Bosz’s men have conceded at least once in three out of four since returning from the winter break, while they’ve shipped expected-goals against figures of 1.74 and 1.91 in their last two. What’s more, they’re without a clean sheet in three at home and have conceded an average of 1.6 goals at this venue during the current campaign. Given Leverkusen’s recent attacking exploits Dusseldorf, who’ve struggled massively to keep teams out on the road this season and who’re conceding an average of 1.79 expected goals for away from home, aren’t likely to fancy themselves defensively, though after they notched three goals last time out, the visitors will be keen to get at a home back-line that has been less than secure in recent times. After all, the visitors have scored at least once in each of their last five on the road. In the betting, ‘Over 3.5 Goals & Both Teams to Score’ catches the eye. Leverkusen, who’ve seen at least four goals be scored in six of their last ten at home, are no strangers to high scoring games at this venue, while they’ve offered both lots going forward and not so much at the back of late. Add in the fact that Dusseldorf are very weak at the back but are also no strangers to finding the net on the road and it becomes easy to make a case for a goal-filled encounter where both teams find the net. Leverkusen and Düsseldorf meet for the 30th time in the Bundesliga. Fortuna have only won one of the last 11 meetings (D6 L4) – 1-0 away back in August 1996. 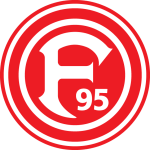 A 1-0 loss in August 1996 was the only time Leverkusen have been beaten by Fortuna at home in the Bundesliga (W6 D7). Over the last six Bundesliga games, no side have won more points than Leverkusen (15, level with Bayern), with Düsseldorf winning the second highest amount in that time (13). Leverkusen have won five of their last six BL matches – their sole defeat coming against Gladbach on MD18 (0-1). The last time Leverkusen won three consecutive matches was in March/April 2016 under Roger Schmidt (7 in a row). No team has had as many shots since the winter break as Leverkusen (75). 36 of those were on target – also a league high. Their 3-0 win against Stuttgart on MD21 increased the gap between Düsseldorf and the relegation play-off spot to 10 points. However, the gap was 11 points at this stage in 2012-13 and Fortuna were still relegated. Having ended a 21-game winless run away from home in the Bundesliga (D5 L16), Düsseldorf are currently three unbeaten on the road (W2 D1) – their best run since 2012-13. Leverkusen’s Julian Brandt scored his first BL brace in the 5-1 win in Mainz. Brandt has been involved in more Bundesliga goals than any other player in 2019 (3 goals, 3 assists). Since his BL debut in April 2012, no player has received as many yellow cards in the top flight as Leverkusen’s Dominik Kohr (49). He will be the youngest player to reach 50 in Bundesliga history if he is booked against Düsseldorf. Düsseldorf’s Kevin Stöger and Kaan Ayhan will both miss the match in Leverkusen due to suspension (5 yellows).